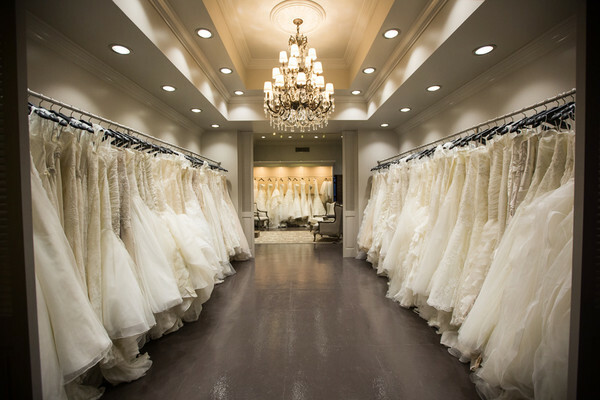 All the big-name bridal designers and manufacturers sell their custom-made dresses though one or more of these shops. They usually stock a range of bridesmaides’ outfits as well as shoes and accessories so you can buy everything under one roof. You’ll usually have to make an appointment to try on a wedding dress, but don’t let this put you off. It’s actually for your benefit so you get space in a fitting room and the attention of one of the staff who’ll be able to advise you on what is available and on things such as fittings and alterations. This is the most expensive wedding dress option because they use the best fabrics and trained sales assistants. The dress will also be made to fit you, which is why you can’t just go and buy ‘off the peg’ and will need to allow anything up to nine months to have the dress made. Once you’ve chosen your dream dress, expect to leave a deposit and schedule a series of fitting appointments. Make sure you find out exactly what is included in the quoted price, and work out a final date when your dress will be ready for collection. With most of the major department stores now stocking bridal wear, you can buy a gorgeous dress for a very reasonable price. The important thing is not the price tag but that you feel fabulous. If you are a standard size you can probably go in, try on a range of styles and buy a dress on the same day. 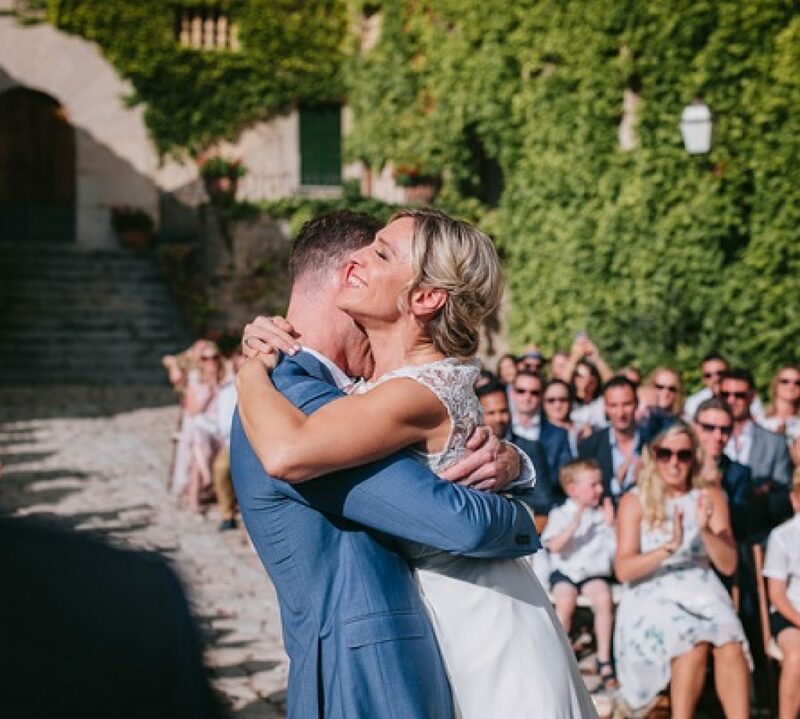 If the dress needs minor alteration, such as taking up, most shops will be able to arrange this for you for a small extra charge or recommend a local seamstress that they work with. It’s best not to choose a dress that needs major alteration, even if you know a good dressmaker. Cheaper dresses are mass-produced, usually in the Far East, and the fabric and seams are not made to be altered in the same way as a designer dress, so be careful as the dress could easily be ruined. Most bridal wear departments also stock a good range of bridesmaids’ dresses for all ages and affordable accessories like bags, headdresses and shoes. If you have a vision of your perfect dress but the designer prices are just too much, you should get a dressmaker to make it for you. You buy the fabric and between you come up with a design – probably using pictures from magazines with a little bit of one dress mixed with a little bit of another. This is not the cheapest option but it will save you a lot on the designer prices. The number of wedding dresses to buy on the web has soared with the increase in online shopping. Sites such as eBay are brimming with everything from gowns and shoes to tiaras ans veils, all at seemingly great prices. But it’s a risky process, many of the dresses will be shipped from the Far East, so you need to be sure of what you’re ordening and whether it’s likely to fit before parting with your money. And most website sellers don’t offer refunds, so there’s no chance of getting your money back. Try to avoid shopping on busy Saturdays when you may not get the best service. Take along someone whose opinion you trust. Limit the shopping party to four people including you. Feel free to shop on your own for the first couple of appointments, inviting mothers and bridesmaids once you have a shortlist. Wear supportive lingerie and take along a strapless bra and a pair of shoes with roughly the heel height you are thinking of wearing. Keep your budget firmly in mind. Trying on dresses way out of your price bracket will just be depressing. Try on a variety of styles, many have little hanger-appeal but look great once they are on. Take advice from the sales persons – they should know what they’re talking about – but don’t be bullied. If one dress is not quite right, ask if the same designer has a similar style perhaps with a different neckline or sleeves that you may like better. Shops won’t stock every style but they may be able to get in something different for you. Even if you spend a long time in one shop, don’t feel you have to buy anything. Don’t buy on your first shopping trip. It’s best to take time to reflect – you can always go back if you were lucky enough to have found ‘the one’ first time out!